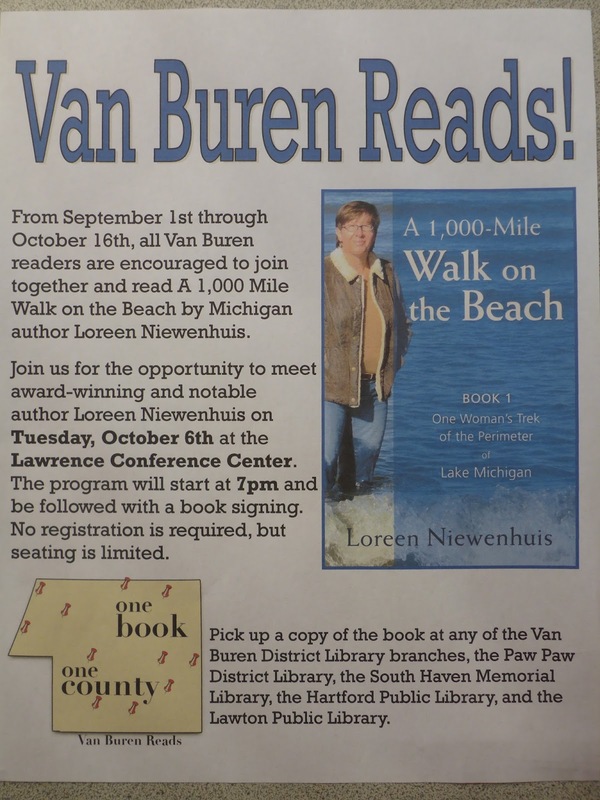 The 1,000-Mile Great Lakes Adventures: Van Buren Reads! as their "One County, One Book" selection! This is the second time a county has chosen one of my books to read together. To cap off this community read, I will give my Lake Michigan presentation at the Lawrence Conference Center [located at 490 South Paw Paw Street in Lawrence, Michigan] at 7pm on Tuesday, October 6.